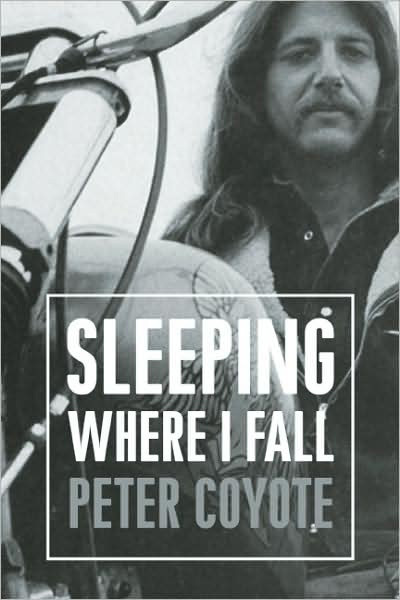 An expanded version of Peter's sixties memoir, SLEEPING WHERE I FALL, is being released by Counterpoint Press on July 1st. Originally published in 1998, the new edition will include a 25-page afterword with additional photos. Eleven years ago Library Journal gave the following review: "Coyote not only survived the excesses of the Sixties and Seventies but emerged from years of journeying through the counterculture to achieve success as an actor. Considering the numerous casualties among radicals, who, like Coyote, were heroin junkies living on the edge of society, this is a rare feat. In this frank yet sensitive memoir of those years, Coyote contradicts romantic notions of communes by recalling the discord and petty disagreements typical in his own communal living experiences at Olema ranch and Red House. He describes the chaos created by the Diggers, an antiestablishment group of which he is usually considered a founding member and leader, famous for their stores where everything was given away free, and he remembers his stoned life in Haight-Ashbury. 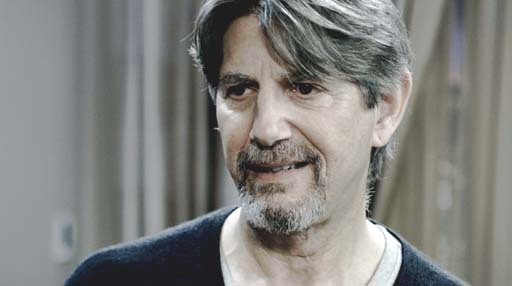 Eventually, he surfaced to work with the San Francisco Mime Troupe, for which he received a special Obie Award. Coyote's thoughtful, articulate writing displays a compassionate wisdom that puts this chronicle in a class above the typical actor's autobiography. Highly recommended for relevent subject collections in academic as well as public libraries." You can add another documentary to Peter's long list of National Geographic films that he has narrated over the past twenty years. 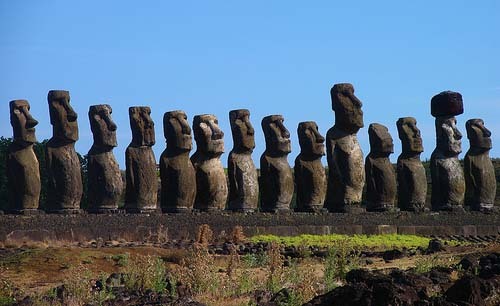 This month The National Geographic Channel presents "Easter Island Underworld", produced and directed by Geoff Luck. Deep beneath the legendary Easter Island, a team of National Geographic explorers undertook a groundbreaking expedition: to map a vast cave system that became the last refuge of the people who carved these iconic statues. Protected by sheer cliffs, narrow labyrinths and underwater entrances, these caverns have been forgotten for centuries. Now, these adventurers discover human remains and telltale artifacts that reveal an astonishing and brutal breakdown of a once utopian society. 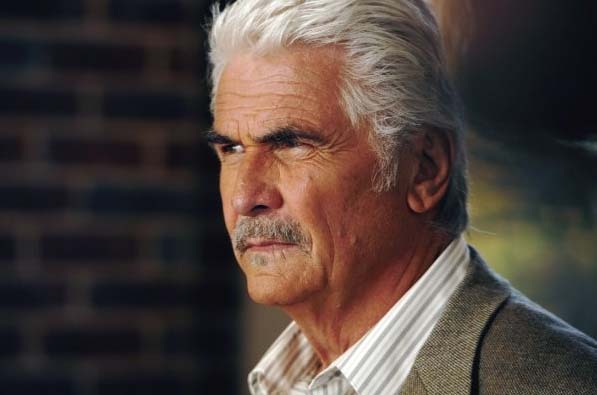 Last November Peter was cast in LAST WILL, which also stars James Brolin, Tom Berenger, Tatum O'Neal, Patrick Muldoon, William Shockley, Brigitte Nielsen, Jeffrey Dean, Moon Unit Zappa and Shawn Huff. 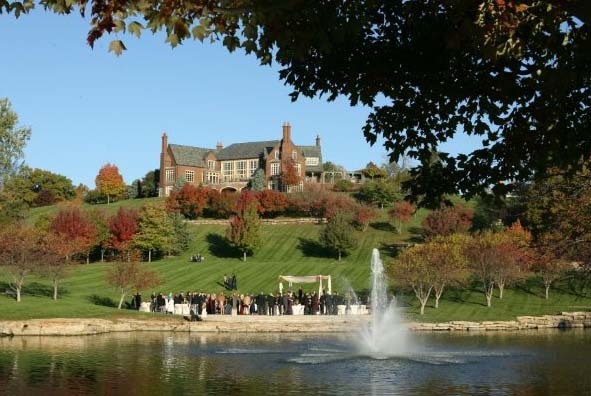 Principal photography took place in Missouri in 20 locations around the Kansas City area. 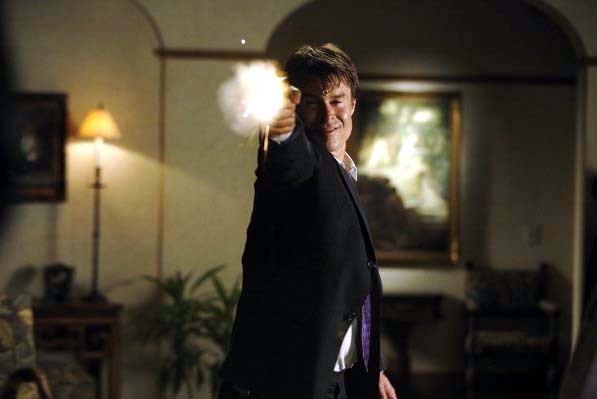 The film was directed by Brent Huff from a screenplay by Alan Moscowitz. The suspenseful drama involves a beautiful woman named Hayden Emery (O'Neal) who is framed for the murder of her wealthy husband Frank (Berenger). With all the evidence stacked against her, Detective Sloan (Brolin) arrests Hayden who finds herself in the fight of her life as she tries to uncover the truth. Set against the backdrop of a wealthy Midwestern city, LAST WILL tells a story of deception, corruption and misguided family loyalties. 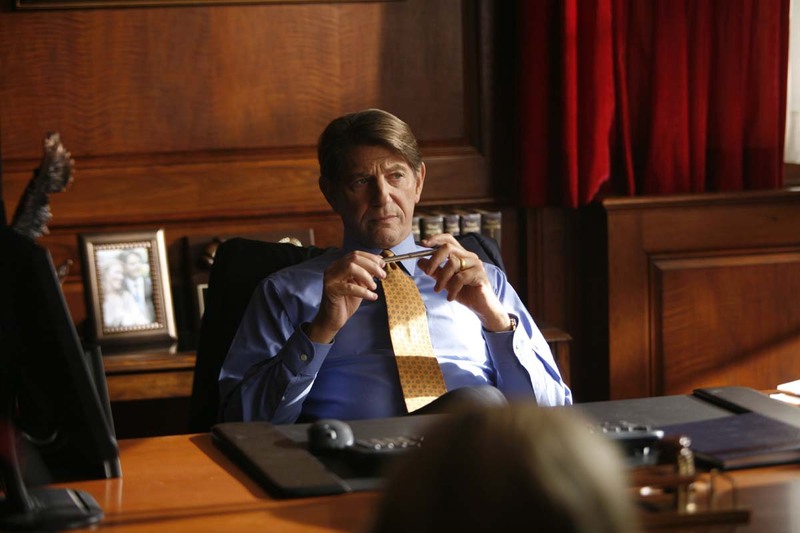 Peter has the role of a crooked judge named Michael Garner. You can now purchase A SINGLE WOMAN on DVD at this link. This movie brings to life the adventures of Jeannette Rankin, the world’s first female Congresswoman who also co-founded the American Civil Liberties Union. Rankin was a suffragist, and peace activist, inspired by Gandhi. Elected to Congress twice, with over two decades between her terms, she was the only Congressperson to vote against both World Wars. A lifelong advocate for peace, she led a campaign against the Vietnam War in 1968, when she was 87 years old. The film is a unique fusion of traditional biography, stage play and historical collage. 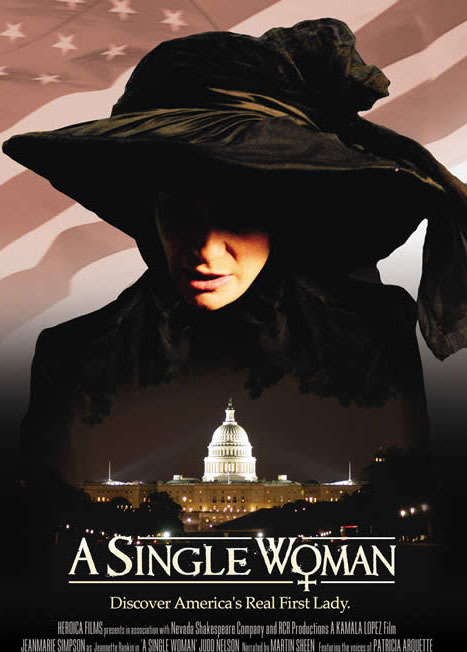 The film stars Jeanmarie Simpson as Jeannette Rankin and is narrated by Martin Sheen. Its inventive use of modern green screen technology juxtaposed with stunning classical line drawings, animated sequences, stock footage, narrations by well-known actors (including Peter) and popular music deliver an exciting and accessible experience. The following video interview was shot on March 17th at Peter's Marin County home office. It was conducted by Michael Nolan with the Ideas in Motion crew of John Rogers and Jim Mayer on behalf of the National Campaign to Hire Artists to Work in Schools and Communities.